Excel provides an easy way of highlighting cells based on a given condition or criteria by using conditional formatting. 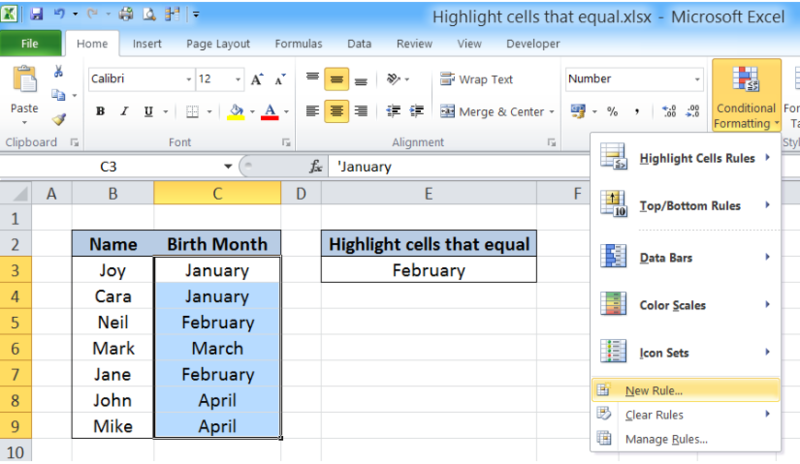 This step by step tutorial will assist all levels of Excel users in highlighting cells that equal to a certain value. Our table consists of two columns: Name (column B) and Birth Month (column C). In cell E3, we enter our criteria “February”. We want to use conditional formatting to highlight the cells that equal to the value in cell E3, or “February”. Step 1. Select the cells we want to highlight. In this case, select cells C3:C9. 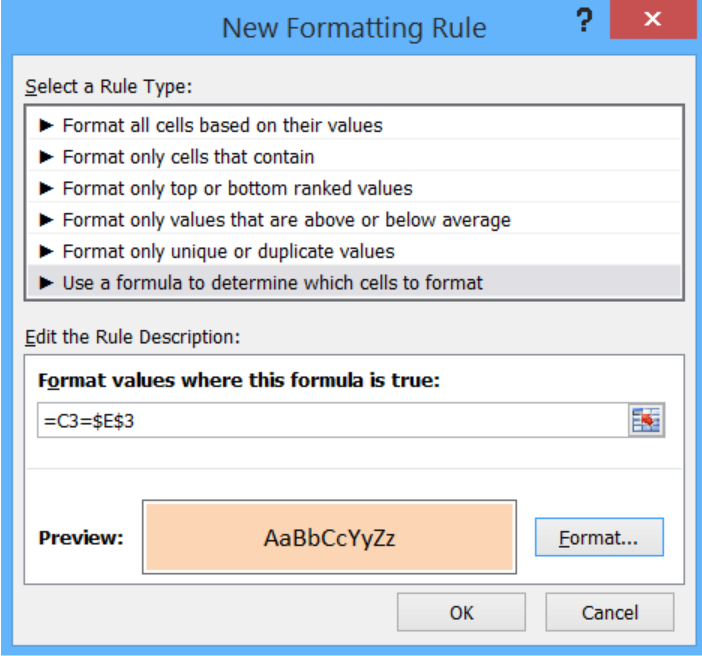 Our formula =C3=$E$3 serves as the condition or rule that will trigger the conditional formatting. For every cell in the range C3:C9, if the value is equal to the value in cell E3, which is “February”, the format will be changed. The dollar sign “$” fixes the cell E3 which is our basis for changing the format of the cells in column C.
This rule highlights the cells that satisfy the condition of C3=E3. As a result, the cells that equal in value to E3 or “February” are highlighted as shown below. With conditional formatting, we can now highlight the cells in column C that equal in value to cell E3. Let us try changing the value in E3 to “march”. 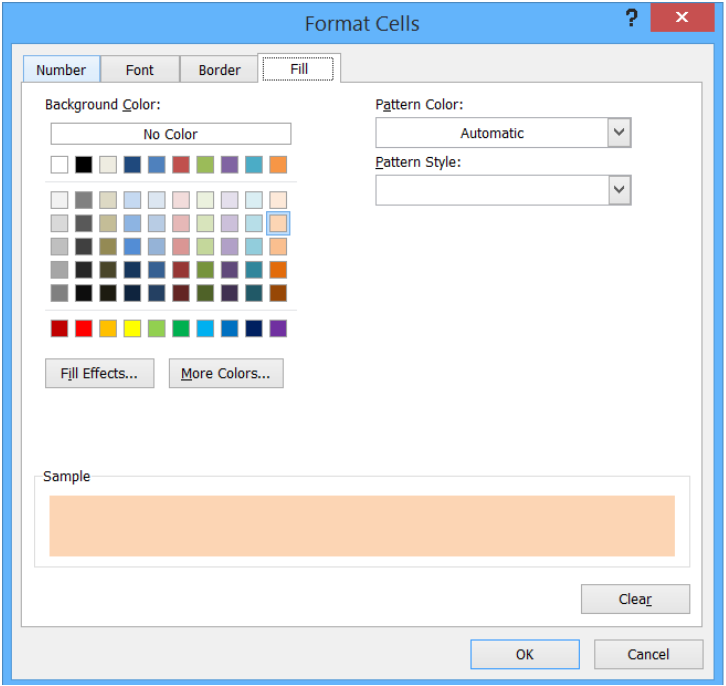 The conditional formatting rule is automatically applied to cell C6 as shown above. By just changing the value of one cell, we can now quickly highlight the specific cells in our worksheet with little effort. The comparison of values is not case-sensitive, since the value in cell E3 is in lowercase while the highlighted value in C6 is in proper case. This method is longer and more tedious but it is also less prone to error. As shown above, the result is the same as in the previous example where the formula we used was: =C3=$E$3. I have four drop downs that highlight a range of cells in a single column...is there a way to make a macro that will take that same information being used to highlight the cells and use it to select the cells?